Győr, 13 December 2016 — Audi Hungaria conducted another successful Christmas fundraising campaign this year: employees have helped to make the holidays of the needy happier with non-perishable food in the value of HUF 1.5 million and 400 gift packages containing toys, books and clothes. Donations were presented on Monday, at the Family Care Center of Győr, by Axel Schifferer, Managing Director for Finance of AUDI HUNGARIA MOTOR Kft. 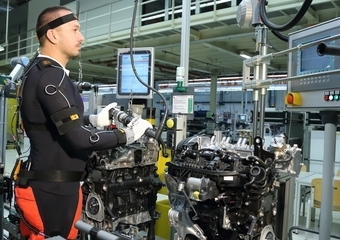 Győr, 22 November 2016 — Audi Hungaria introduced a brand new ergonomic device based on a motion capturing system, the first of its kind in the entire world. The system recognizes non-ergonomic factors by digitalizing human movement, enabling the ergonomic development and optimization of workstations and work processes. Győr, 10 October 2016—The award “Audi Hungaria For Quality Dance Arts” was presented by Dr. Elisabeth Knab, Member of the Board of Management for Human Resources of Audi Hungaria for the 3rd time now. 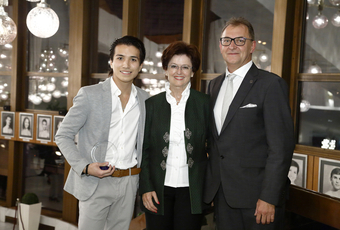 The award, which entails a net gratuity of HUF 1 million, was awarded by the advisory board to Daichi Uematsu, dancer of the Ballet Company of Győr this year. 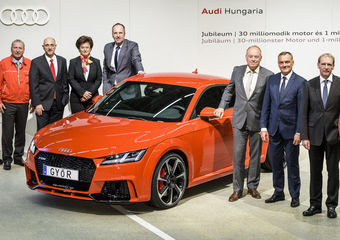 Győr, 06 October 2016—The groundworks of the new body factory of Audi Hungaria have been finished as planned. 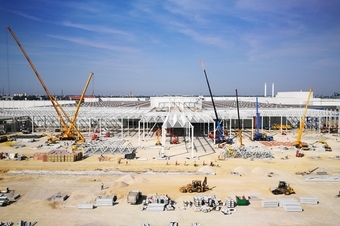 In this phase, about 1800 poles were dug 8 meters deep into the ground, which will ensure the stability of a building of 80,000 m2 floor space. 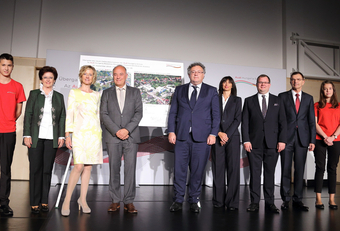 Győr, 23 September 2016—This year already the 100th trainee will start his employment career at Audi. Zsolt Sáfrányos was welcome on his first day at work by Dr. Elisabeth Knab, Member of the Board of Management for Human Resources of AUDI HUNGARIA Kft. Zsolt, freshly graduated at the Széchenyi István University in vehicle engineering, will utilize and enhance the skills and knowledge he gained as an Audi trainee as an engineer responsible for automobile parts in the future.